Google today announced a fun update to Google Maps that’ll allow you to virtually visit a dozen additional planets and moons in our solar system. The company has added to its lineup imagery of Pluto, Venus and several moons and also made it easier to find them in Maps. 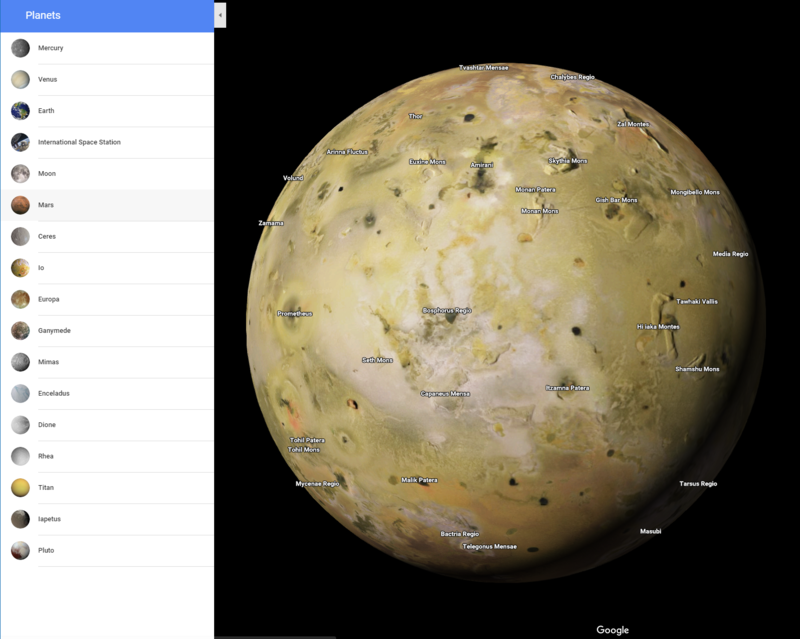 In total, Google Maps now features imagery of 16 celestial bodies. It’s worth noting that while Google has long offered detailed imagery of Mars and the Earth’s Moon, these weren’t directly accessible from the Maps interface. So if you ever wanted to visit Enceladus, Dione or Iapetus, Saturn’s third-largest natural satellite, in Google Maps, your time has come. The company notes that it worked with astronomical artist Björn Jónsson to bring planetary maps of various moons and planets to its service. To access this new imagery, you can either just zoom out from your terrestrial Google Maps view until you hit outer space — or you could just click on this link here. Once you’re done exploring all of these planets, you can also make a quick stop at the International Space Station, which recently joined Google’s Street View program.